Many of us spend more waking hours at work than we do at home. This dynamic makes the employer-employee relationship one of the most important in our lives, so when things go wrong, the effects often ripple throughout an organization. Whether you own a business that employs workers or are a worker just trying to make a living, you can turn to the employment lawyers at Hendrickson & Long when employment disputes arise. We represent both companies and workers in West Virginia (WV) and Pennsylvania (PA). Many aspects of the employer-employee relationship are governed by state and federal laws, and there is a robust body of common law that relates to what was traditionally known as the “master-servant relationship.” Our employment lawyers are well-versed in all of the laws that bear on this relationship, and we have decades of experience litigating employment law disputes. The general presumption in the U.S. is that the relationship between an employer and employee is one of mutual convenience that may be ended by either party at any time for any (legal) reason. This is commonly known as at-will employment. 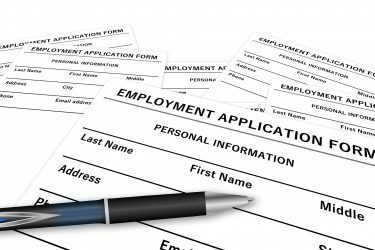 The presumption of at-will employment has been modified by various laws at both the state and federal level, as well as by judges adjudicating employment law matters. These modifications serve to protect employees from unfair treatment. For example, an employee who refuses to obey an instruction from his or her employer has little defense to being terminated for insubordination. However, if an employee refuses to carry out an instruction that violates a substantial public policy, the employer would be in the wrong to fire the employee. Substantial public policy might be a law that protects consumers, the environment, or other aspects of our society. Statutory law provides the vast majority of modifications to the basic premise of at-will employment. State and federal laws have been passed that require employers to treat employees in certain ways relating to terms of employment, hours of work, minimum wages, methods of wage payment, occupational safety, and non-discrimination. For example, civil service laws govern the terms of employment for most government workers, providing them with some degree of protection over their jobs. The Fair Labor Standards Act (FLSA) governs hours of work and wages for some employees. And the Occupational Safety and Health Act (OSHA) prescribes standards for workplace safety. Additionally, various laws prohibit discrimination on the basis of age, race, gender, national origin, religion, and disability. These laws impose broad controls on employers and, consequently, result in numerous disputes. Each of these areas of employment law is enforced by state and federal agencies that have powers to remedy complaints. For example, the federal Equal Employment Opportunity Commission enforces federal laws that prohibit discrimination. State human rights organizations usually have similar powers. In many instances, employees are required by law to bring complaints to these agencies before filing a lawsuit in court. The employment attorneys at Hendrickson & Long represent both employees and employers in employment lawsuits and administrative matters. However, we also provide legal advice to employers to help prevent employee complaints. The extensive laws in this area can muddy the water for executives, administrators, and supervisors who make day-to-day decisions about employment issues. Our attorneys can help guide companies through the proverbial minefield. With the proactive involvement of counsel, employers can save both money and energy by avoiding unnecessary human resource management missteps. When a complaint or suit is filed, Hendrickson & Long employment lawyers are ready to seek the best outcome for our clients. We have extensive experience representing employees and employers in state and federal administrative hearings, where we try to help resolve disputes less formally without the necessity of proceeding to a formal lawsuit. However, when a lawsuit ensues, we apply our extensive experience to represent our clients vigorously through complete and thorough discovery of relevant facts, research of applicable law, appropriate settlement negotiations, and, ultimately, top-notch trial representation. Many of Hendrickson & Long’s lawyers are rated highly by independent authorities in the areas of employment law and litigation. Our firm has been featured by organizations such as Chambers USA, Best Lawyers in America, Super Lawyers, and Litigation Magazine. Several of our attorneys are top-rated by Super Lawyers, an honor reserved for only five percent of lawyers nationwide, and by U.S. News & World Report’s Best Law Firms. Hendrickson & Long’s employment lawyers have helped numerous companies either avoid or navigate employee complaints and lawsuits. Our employment lawyers have also represented many employees who found it necessary to bring formal complaints or suits against their employers. In every case, we find out what happened and seek the best result possible for our client. Contact us today to schedule a free initial consultation.